Good news from Westeros: Members of the Night’s Watch now have comfortable footwear to wear while they patrol the Wall separating the Seven Kingdoms from the White Walkers, wildlings, and giants roaming the northern lands beyond. If that sentence made absolutely no sense to you, you’re not the target audience for Adidas’ new line of Ultra Boosts themed after HBO’s popular fantasy series Game of Thrones. For the rest of us, we have until winter’s end to make room in our budgets and closets for this nerdy new collaboration of shoes. 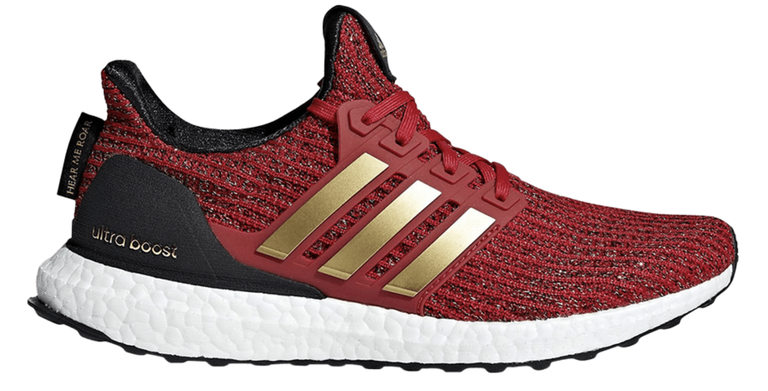 Early previews of the Ultra Boost 4.0 Game of Thrones line, which officially drop this spring from Adidas, show six sneakers themed on the Great Houses of Westeros or principle character groups: the Night’s Watch, the White Walkers, House Targaryen, House Targaryen Dragons, House Stark, and House Lannister. Overall, the shoes are fairly subtle about their inspiration except at the heel tabs, where elements of the series’ plotlines emerge in the form of “House words,” like House Stark’s “Winter Is Coming,” House Lannister’s “Hear Me Roar,” and House Targaryen’s “Fire and Blood.” Other text under the tongue nods to themes within the show and book series, A Song of Ice and Fire. .
Functional as actual running shoes and not just fantasy footwear, each shoe has a Boost foam midsole for extra bounce and cushion, with a sock-like Primeknit upper, Continental rubber outsole, and three-stripe midfoot cage and heel cup to hold your foot in place. 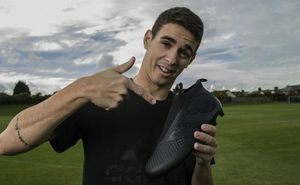 The shoes are not yet available from Adidas but are being sold in very limited quantities on third-party site GOAT.com for prices ranging from $215 to $330. Much like author George R.R. Martin’s sixth and seventh books, there’s no sign of a release date on adidas.com yet.